A total of 52 major local and international companies in the building, construction and transportation sectors are showcasing their latest tools and products for building sustainable cities at the ongoing "Future Build Exhibition" in Ajman, UAE. A major industry event aimed at promoting the building and construction material sector, Future Build Exhibition is being organised by the Ajman Chamber of Commerce and Industry. 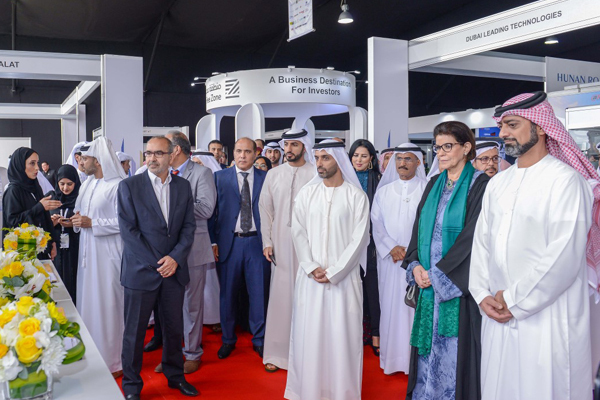 The three-day expo was inaugurated by Sheikh Ammar bin Humaid Al Nuaimi, Crown Prince of Ajman and chairman of the Ajman Executive Council yesterday (March 25) at Al Zorah in the presence of leading government representatives and the owners, developers and several senior officials. Addressing the gathering, Sheikh Ammar said hosting such specialist international exhibitions would support the local economy and the building, real estate development, construction and transportation sectors. "This exhibition is important to Ajman, in light of the contribution of the construction and building sector as it attracts leading local and international companies besides supporting partnerships, and exchanging relevant expertise," he added. Sheikh Ammar also called upon property owners and developers to update their knowledge on the latest developments in the building, construction and transportation sectors, along with the necessary skills, as well as to benefit from the latest international developments besides employing them in enhancing the building process, and look forward to a brighter and more prosperous future. According to official data, the number of companies in Ajman operating in the sectors of real estate development, contracting, building, engineering consultation, and manufacturing and trading in building materials, as well as real estate offices has risen to 3,802 last year from 2,839 in 2013, thus registering a 34 per cent growth in the last five years.